I have the majority of my stash in bins on shelving out in my garage. I just keep the new stuff in the closet in my sewing room. You can’t tell at a glance how bad my habit is! My stash is in the living room in my sewing corner so I have those plastic bins with drawers and I sort by color. I have started some Art Bin boxes that I have pre-cut the tiny stuff into 2, 2 !/2, and 3 inch strips, I also did 1″ strips and they are very handy. I also have another box with 5″ squares. It keeps things hidden at least and semi sorted. You are brave to show your boxes and I think I would have that many if I had kept them. I think that you have earned your stash and sewing helps to relax you after a hectic day at work AND you are very good at it! You sound sooooo much more organized than me! I do like those Art Bin boxes. They are usually the exact right size for projects and completed blocks. When I saw your first picture I thought, “oh, I have her beat by a long shot”. Then the second picture came up and I was oh ok. My stash sits in boxes like yours too. 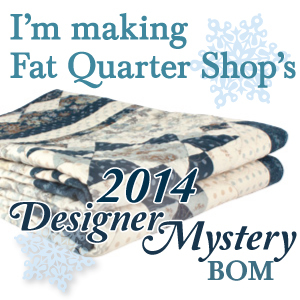 I share my sewing room with the guest room and everything is stored in my awesome fat quarter shop boxes. I love the Moda Love quilt! Oh my — what a lot of boxes, Jennifer! You need to get that fabric out of the boxes so you can see what you have and pet it! I will be following your organization with interest. That is a very impressive stash! Get it out of those boxes, I want to see it! 🙂 Your room seems to have lots of light which is very nice. My room is so dark, I have a hard time seeing the real colors of my fabrics. My son is back at college which frees up a room, and I recently moved my sewing space out of the living room where I worked all summer. The MODA Love quilt is colorful and pretty. I certainly can’t complain about the natural sunlight I get. Unfortunately, I do most of my sewing late at night. I do want to unload all of the boxes. I went through a reproduction era phase and I have tons of Judie Rothermel yardage. Which isn’t a bad thing at all! Wonder how your son likes the idea of his room converting to your sewing space? Thanks for the comment and for visiting my blog today!